For centuries spas and soothing mineral springs have been vanquishing the specters of ill health, fatigue and too many laps around the chariot track. These days slope weary skiers and snowboarders are checking into sleek spas that refresh with an avalanche of service and amenities. Whether motivated to visit a spa to retool your body, or simply do some fine tuning, you’ll enjoy a balance of exercise, nutrition and body pampering for a healthy, invigorated you. 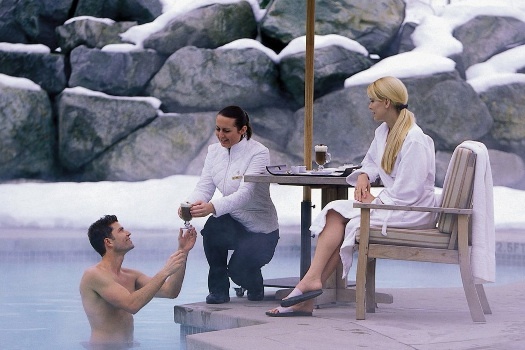 Here is part one of a two-part story on notable snow country spas. 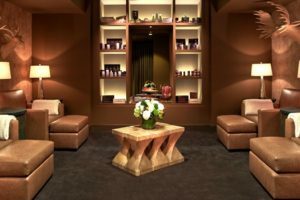 ALLEGRIA SPA, Beaver Creek, Colorado—Guests lose themselves in the mojo emanating from this Euro-style day spa at the Park Hyatt Beaver Creek. Its alpine inspired décor sets the tone for chilling out in a 30,000 square-foot space devoted to balancing your body and spirit. Therapies for deep relaxation, detoxification and sports relief range from Sweet Indulgence, What Men Want and Thai Journey, along with treatments for couples in one of three couples suites. A variety of aquatic themed retreats let water work its wonders, including a heated pool and hot tubs under a mountain waterfall. The Aqua Sanitas Water Sanctuary features a co-ed mineral pool, Caldarium steam room and Tepidarium, where guests recline on heated loungers. Its Fitness Center combines with a Hair and Nail Salon to allow patrons to get luxuriously right with the world again. 970-748-7500; www.allegriaspa.com. 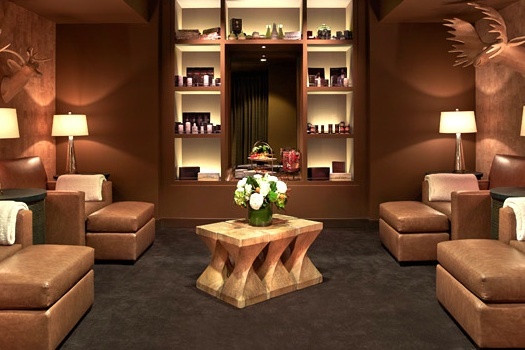 AUBERGE SPA AT HOTEL JEROME, Aspen, Colorado—Compliments of a recent multi-million dollar renovation to the historic hotel, which first opened in 1889, the Auberge Spa gives guests ways to iron out the kinks. Small by spa standards (there are only three treatment rooms), it invites guests to benefit from menu of revitalizing treatments that, as the hotel’s brochure states: “incorporate medicinal plants and river-bed minerals used by the Ute Indians for promoting health and well being.” Giving a nod to centuries old tribal healing practices, the spa leaves guests feeling rejuvenated with treatments like the Arnica and Birch Massage with Steam Vapor and the Rocky Mountain Scrub. Thanks to the hotel’s exclusive partnership with The Aspen Club & Spa, guests wishing a more comprehensive wellness experience are invited to the 77,000-square-foot facility, which is five minutes away. 855-331-7213; www.hoteljerome.aubergeresorts.com. 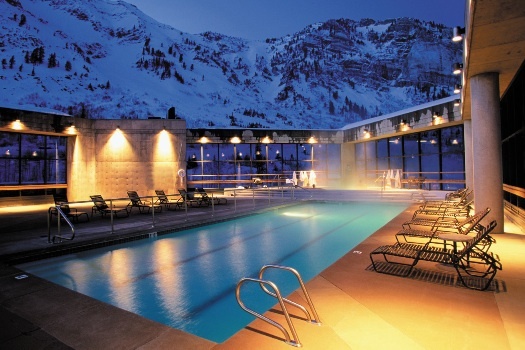 THE CLIFF SPA, Snowbird, Utah—Skiers and snowboarders are enticed here by the dual promise of Utah’s legendary powder and 30,000 feet of spa space. Occupying two floors of the Cliff Lodge, this glass-enclosed retreat serves up mountain views, 21 treatment rooms, a rooftop swimming pool, hydrotherapy tubs, co-ed eucalyptus steam room, an aerobics floor and impressive fitness center. 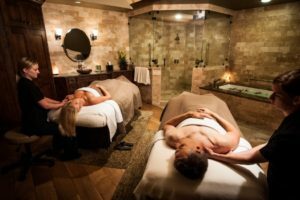 Massage therapists and salon staff whisk away the aches of a hard day on the mountain with over 30 treatment and salon services, including deep tissue, zone therapy and Thai massages, Reiki and stone therapy, and a dozen scrubs, wraps and skin care treatments. With an appointment private instructors and or personal trainers ($90 per hour), will work with snow sports enthusiasts—and non-snow sports—enthusiasts educating them on cardiovascular strengthening, muscle stretching and nutrition. 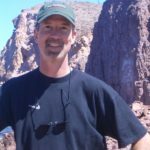 801-933-2225; www.snowbird.com. 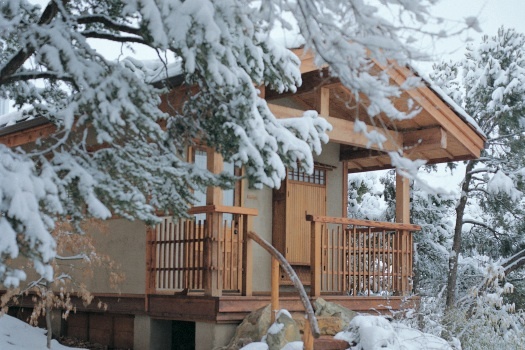 THE SPA AT CORDILLERA, Edwards, Colorado—The setting alone works its magic on tension. Reminiscent of a Belgian country estate, this magnificently appointed, 56-room retreat has more than 1,500 acres of outdoor fitness terrain and offers guests quite the spa experience. Its menu includes a wealth of body therapies, massages, facials, body polishing and salon care; ways to energize your system. A dedicated body toner can boost his or her cardiovascular through aerobics, laps in the indoor pool and circuit training. On-premise Nordic skiing on groomed trails, snowshoeing and downhill skiing at Vail and Beaver Creek fill in the blanks for really energetic guests. For $90 you can get either a fitness evaluation or one-on-one personal training from a certified personal trainer with both offerings intended to put you on a road to improved wellness. 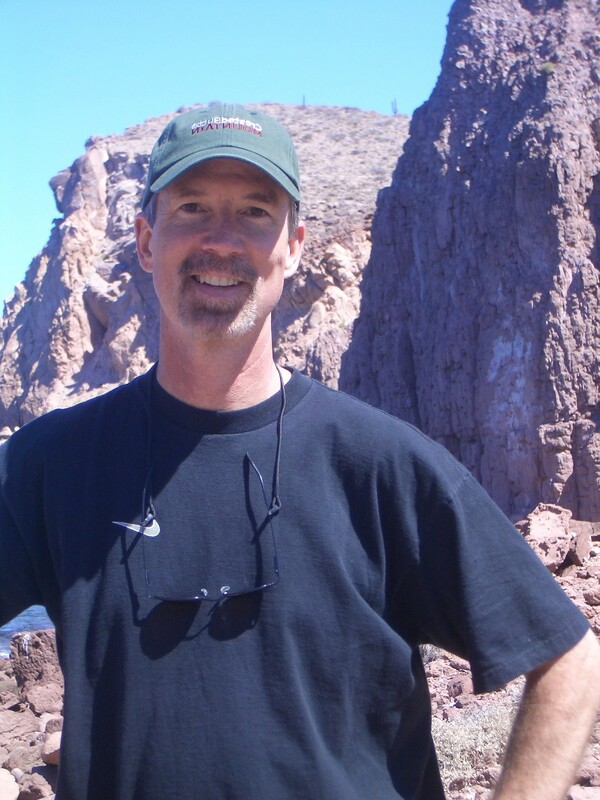 970-926-2200; www.cordilleralodge.com. Four Seasons Whistler Resort Spa. 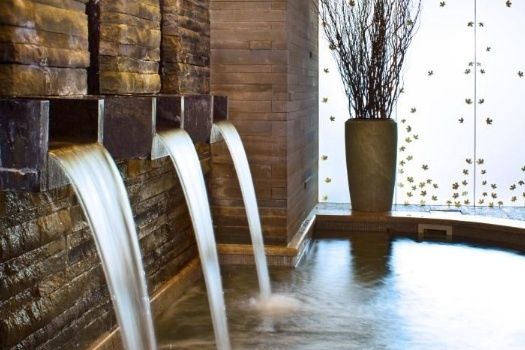 FOUR SEASONS SPA/WHISTLER, Whistler, BC—Drawn by over 8,100 skiable acres, and named by SKI Magazine’s 27th annual Reader’s Poll as the number one resort in North America, it shouldn’t surprise anyone that the resort is also home to an award winning spa. Recognized by Travel + Leisure’s World’s Best Awards as Canada’s number one Hotel Spa, this spa is expert at restoring the well being of its guests. Defined by 11 treatment rooms, two couples’ suites and a pair of Zen relaxation lounges, it has all the accoutrements one would expect, but a few unique treatments are worth experiencing such as the one that begins with an exfoliating Canadian maple syrup and brown sugar scrub. The Sea-to-Sky massage, which involves warm river rocks and a seaweed exfoliation, and the BC Glacial Clay Wrap leave patrons feeling like a million bucks. 604-935-3400; www.fourseasons.com/whistler/. 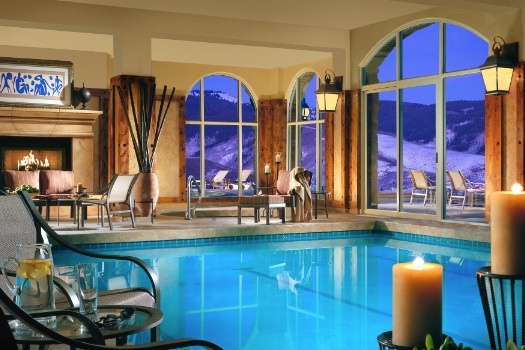 THE PEAKS RESORT AND SPA, Telluride, Colorado—Surrounded by the San Juan Mountains, the 42,000 square-foot spa is in one of the most spectacular settings you’ll set eyes on. It has an indoor/outdoor pool, 32 treatment rooms, a lap pool, oxygen inhalation lounge, a sea of cardiovascular gear, steam rooms, sauna and weight room. Skilled in lifestyle management and top-drawer service, the resort invites spa guests to enjoy a natural mineral salt pre-soak or eucalyptus steam to help them loosen muscles, relax and detoxify before any bodywork or treatment begins. A Sacred Nature Goddess Facial, aromatherapy wraps, Thai massage and Aromasoul Scrub and Massage do as much good for your body as do personal training, Pilates and Yoga. Individual treatments range from $65 to $225. Salon treatments, which include waxing, manicures, pedicures hair styling and makeup application, range from $25 to $220. 970-728-2590; www.thepeaksresort.com. THE SONNENALP, Vail, Colorado—Guests walking through the doors of this hotel feel as if they’ve been transported to Bavaria. 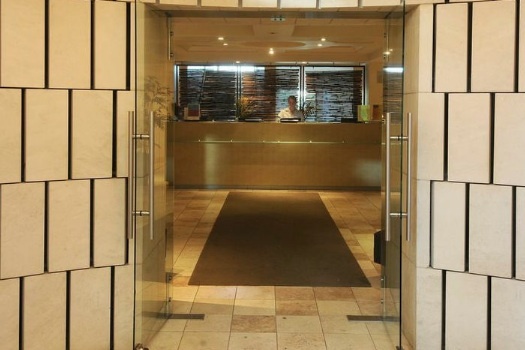 The expansive spa facility here emphasizes wellness, personal attention and pampering. If your focus is on your physique, head to the cardiovascular conditioning gear and heated indoor/outdoor lap pool. An outdoor Tranquility Pool with a waterfall compliments the heated, indoor and outdoor co-ed whirlpools, which are great for unwinding. Wet Lounges with a steam room, sauna, cold plunge pool and Tsunami showers add to ways to be invigorated, while an oxygen bar assists in adjusting to the higher altitude. 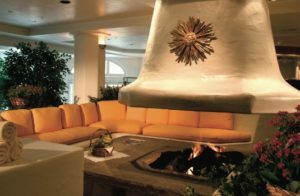 With its warming fireplace the Relaxation Cove is a preferred spot on a chilly winter, while the refreshment stations let guests get more centered by providing fresh fruit, a selection of hot teas and fruit-infused water. 970-479-5404; www.sonnenalp.com/spa/. WILLOW STREAM SPA, Banff Springs, Canada—Thank visionary William Cornelius Van Horne for bringing civilized comfort to the Canadian Rockies via The Fairmont Banff Springs. With its signature log, stone and glass architecture, the opulent Canadian landmark is poised to relax all comers. 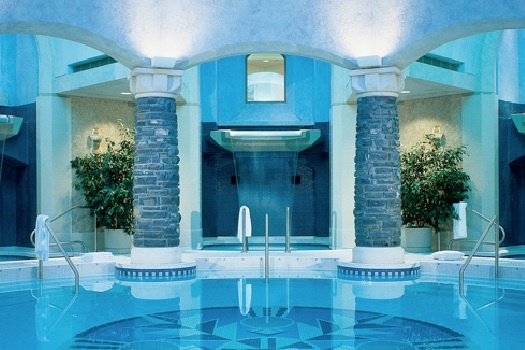 Voted one of the top five spas within Canada by Condé Nast Traveler and Forbes Travel Guide, the Forbes 4 Star Spa sets a relaxing tone with its glass atrium and gorgeous European mineral pool. The 38,000 square foot space gives guests ways to regain their balance through a multitude of restorative treatments that include massages, mineral baths, mud wraps, herbal exfoliations and aromatherapies. Cardiovascular workouts are done by laps in the indoor and outdoor heated pools or through aerobic and Exercise Studio sessions, while a host of salon services keep guests looking sharp. 800-762-1772; www.fairmont.com/banff-springs. Details: Check with the spas to learn about full-day, half-day and multi-day packages and or specials that include a variety of body and skin treatments. Bride-to-be, moms-to-be, new moms and male-centric packages are common as well. 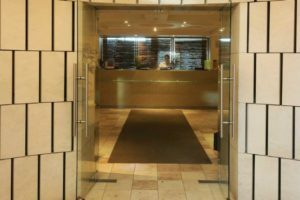 Personalized wellness, skiing/snowboarding fitness and nutritional programs are often available (expect to pay a premium fee) and, in most cases, you needn’t be a guest of the hotel to be able to visit the spa. Most spas have an age minimum for guests that is 16 years and older. Gratuities to spa staffers are extra.